Visit Camus: 29, rue Marguerite de Navarre ,16100 Cognac ,+33 5 45 32 28 28 ,Visit Camus: 29, rue Marguerite de Navarre, 16100 Cognac, +33 5 45 32 28 28 Camus Cognac House offers a wonderful tour and cooking master classes throughout the year. The taste of this cognac is dominated by some earthy fruits, wooden hints. In the mouth: Balanced, remarkable rancio. No tasting notes until now. No tasting note or review on the Camus 4716. No tasting note or review on Camus Family Legacy yet. Since 2005, personal tours are given to visitors from all around the world to show them another, more vibrant side to cognac. You can choose either from a traditional guided tour to an innovative introduction to master blending or cooking course with cognac as the special ingredient. Visits open to the public all year around. Contact Camus for opening hours and reservations. Hello, I have a 1963 bottle of Camus Cognac. It's to commemorate 100th Anniversary of 1863. What price can I get for this? Hi! I'm from Argentina. I have a bottle of Camus Cognac V.S.O.P. La Grande Marque that belongs to my father in law. I would like to get a price on. I search the web and i could not find a resault about this particular bottle. If you could help me, i would be delighted. Many Thanks! Enrique. I have a bottel of Camus 1971 vintage president's Reserve and wondering what is the best way of selling this and how much is it worth today. @ Jim: yes the Chunghwa XO is indeed produced by Camus, targeting China's market. If I remember correctly, the first edition has a box that looks like the Chunghwa cigarette box from China. Try to Google it and you should be able to see some pictures of both the rounder bottle and the square bottle. I have a bottle of cognac that i would like to get a price on... I have had one valuation but would like to get a second opinion. It is a 'CHATEAU DU PLESSIS XO' Borderies - 16370 Many thanks. I have bottle n.o 37 of Camus Cognac / LA summer Games 1984 that i'd like to sell to someone that woud appreciate it, as i am not a fan of cognac, it was passed on to me from my old man who could not take it with him moving house. It is unopened. Hi I have a bottle of Camus Chunghwa XO Premium Cognac but I'm not sure is this also one of Camus Cognac that they produce. I didn't see it on their website. Can anyone tell me is this is real or not. Thank YOu. My cousin asked me to find out how much her collection of these special cognac bottles is worth. She inherited the collection from her departed father and she has continued to collect them. So these bottles I'm talking about belong to a rare special-edition-porcelain-bottled-cognac-collection that were bottled on behalf of soccer world cup tournaments in 1978, 1982, 1986 and 1990 as well as olympic games in 1980, 1984, 1988, 1992 and 1994. My cousin has two pieces of some of the bottles. ALL the bottles are sealed and unopened. All the bottles, except one of the 1978 year Camus bottle, are in their original card board package. In the end of this email there's a link to dropbox folder, where you can find some pictures of these bottles. My cousin also has some rare porcelain "book" bottles of Camus Napoleon cognac in their original packages. (Pictures can be found from behind the link) My cousin would like to know how much the whole collection of 1978-1994 sports tournament bottles are worth. (They will not be sold separately) Those bottles that have pairs would be sold separately as well as the "book" bottles. She is willing to sell all the bottles if she can get a reasonable price. I have a bottle of camus xo I bought in France over 20 years ago. It's in a decanteur bottle with a glass stopper. Only other markings on seal around glass stopper "Camus d Cey". Anyone have any info on this bottle including price. Thanks. Hello Cognac lovers~ Just wonder if anyone might know the price of a Camus Cognac XO Superior, 100 cl? It seems that the Camus XO types don't even list "Superior" as one of their types of products anymore. Any information/knowledge on this? Thank you! My favorite "Camus". But better yet - "Josephine Pour Femme Camus". Party! I have a Camus Cognac bottle centenaire célébration 1963 with the serial number of 542815 could someone tell me the price and value? I have a bottle of Cognac Michel Camus Royal in Bacarrat crystal and gold plated label on the box. Can you tell me the current price? Can anybody tell me if they know about a cognac camus hors d`age,grande marque, bottle made by baccarat, crystal decanter with a silver belt.Decanted in 1988.Only 5000 bottles.I got 1.bottle nr.1331.Anybody???? I have a bottle of Camus Napoleon Cognac in a Limoges decanteur commemorating the 1984 summer Olympic games in Los Angeles. Bottle is still sealed and in box. What is its value and how could I sell it? Hi! Those porcelain cognac bottles from Camus are hard to find, and hard to buy today. You may want to look in our category YOUR BOTTLE (in BLOG section) where users submit pictures of their old cognac bottles. You should find something there. 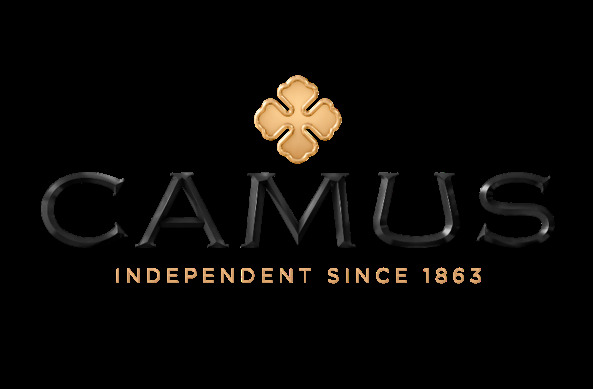 There are cognac collectors out there who still purchase and sell those Camus bottles. I bought my husband cognac in a beautiful pocelain blue bottle 20 years ago..can I still get this..Thank you.